I love this book. I just had to tell you that right away. Do you know why I love Yelling: The Cause, The Casualty, The Cure? Because it is a much needed resource for many moms today. I have had many moms contact me and ask me what they should do to stop yelling, and I haven't known what to say. I think first of all, we must acknowledge that we shouldn't be yelling at our children. Maybe we might yell on occasion when everybody is um, making so much noise that nothing below a yell can be heard. Maybe we might yell to stop a child from running across the road when a car is coming. But yelling shouldn't be a regular, everyday occurrence with our kids. "So you yell and you want to stop. Here is my 11-Step Stop Yelling Plan." So really, this is a very practical book. It gives real, concrete steps to stop yelling. 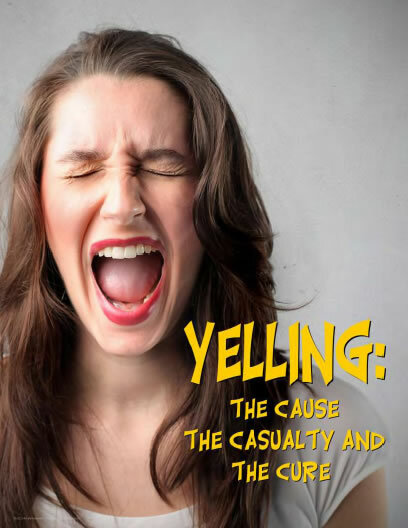 Lorrie also shares why we yell, and helps us to identify what may be our triggers for yelling. Then she helps us to stop! Beyond the problem with yelling at your children, Lorrie states she knows some wives who yell at their husbands too. So, if that is you, get this book too! I truly believe this book will be a help to many mothers who struggle with this problem. Don't forget my giveaway for Hodgson Mill ends tomorrow! Here's to no more screaming! As I'm sure you know, I received this product free of charge to review for The Gabby Moms program, but my opinions expressed here are completely my own, honest opinions.